For those of you who were not already aware, the latest and greatest Visual Studio 2015 ALM virtual machine published and is ready for developers, testers, and project managers everywhere to kick the tires! All existing hands-on labs have been updated with new content, and five brand new labs have been added. As the program manager in charge of ALM functionality for Application Insights, I’d like to draw your attention to one of these new labs: Monitoring Applications with Application Insights. Application Insights is the first purely service-based product to have a lab featured in the VS2015 ALM virtual machine. Some coding is required for exercises like “adding instrumentation and custom events,” but any required code is provided for you to simply paste into the project so that you can spend your time exploring the telemetry rather than typing. You should expect to spend 30-40 minutes going through this exercise for the first time. Any subsequent runs that you plan to use as a refresher or for demonstration to your colleagues will most likely only require 20-25 minutes. I’ve been colleagues with Brian Keller (the author of the original VM) for years, and so I’ve spent a lot of time running many of the HOLs included in this VM, as well as demonstrating the concepts for customers. And, I’ve certainly written quite a few demonstrative labs that have been for personal/professional use. However, this is my first time to author my own HOL for public consumption, so I greatly appreciate any and all feedback. Please keep in mind that this particular lab is intended to be an overview – we plan on adding additional labs (or optional sections in this one) to cover more advanced topics in the future, especially as Application Insights continues to grow and evolve. There is a link at the bottom of the lab document that will get your feedback directly to the VS2015 ALM VM team. I thank you ahead of time for all of your input. 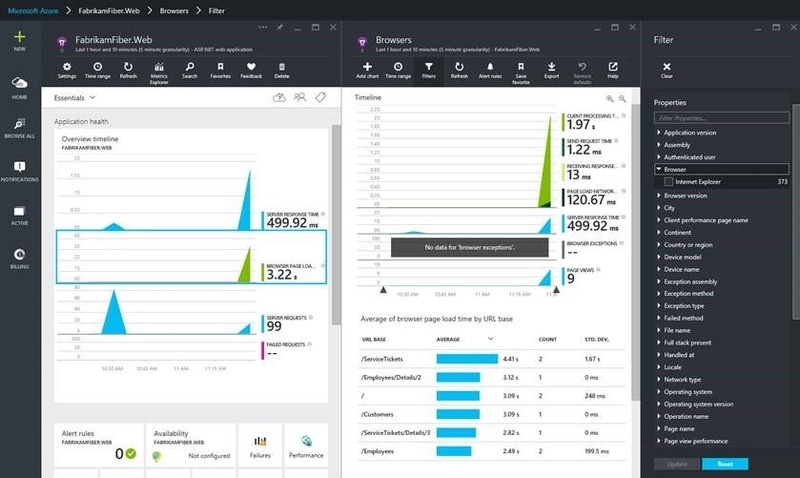 Now, fire up that VM, open the lab, and see for yourself the incredible power that Application Insights telemetry provides!